“Fin!” shouted Colin Cornforth. “There’s a fin up!” He squinted at the horizon. “Three animals. Make that four at eleven o’clock. Risso’s, maybe.” Chopping the air with the side of his hand, Cornforth, a captain with a tour company in Kona, Hawai’i, pointed in the direction the dolphins were traveling. Dr. Robin Baird nodded and steered the twenty-four-foot Zodiac toward the animals but didn’t increase his speed. Baird has been studying the behaviors of the whales and dolphins of the Hawaiian Islands for almost twenty years. He knew that the sound of a boat’s motor frightens some sea mammals, and did not want to spook them. Risso’s dolphins are a rarely seen species he’s targeted on this two-week survey off the Big Island of Hawai’i—part of his long-term study of the cetaceans (the general term for whales and dolphins) that live or spend time in the islands’ waters. “I’ve got seven animals now!” Cornforth called out from the prow. Baird, a tall and beefy ginger-haired man with eyes as blue as the sea, stood beneath the shady shelter of his inflatable boat’s canvas awning. For someone with such fair skin, Hawai’i’s sun and the glare from the water posed a danger, and he dressed accordingly: long-sleeved shirt, long pants, and visor—and now and then rubbed more sunscreen over his nose and cheeks. He didn’t react to Cornforth’s jibe. After all, he’d used the word desert himself when describing the region to me the day before. The Hawaiian Islands, Baird explained, create oases in the midst of the Pacific Ocean’s desert—so named because it’s largely poor in nutrients. The trade winds and ocean currents stir only the surface waters, except around the islands; their size and height break up the winds and currents so that the cold, nutrient-rich waters of the deep mix with the warm, oxygen-poor surface waters, causing the water to bloom with phytoplankton, the microscopic algae that are the basis of the ocean’s food webs. Where phytoplankton are abundant, so are squid and fish, and their predators, including dolphins and whales. Twenty-five species of cetaceans live near the Hawaiian Islands. Eighteen are odontocetes: toothed animals such as common bottlenose and Risso’s dolphins, and killer and sperm whales. The other seven are baleen whales (also known as mysticetes), such as humpback, fin, and blue whales, which have plates of baleen (made of the protein keratin) that sieve the water as they feed on plankton and krill. Most tourists—and most scientists—typically see only two of these twenty-five species: humpback whales and spinner dolphins, which are easy to spot from shore or on whale-watching cruises. Baird has made the other twenty-three species his specialty. “Hawai’i was a very crowded place for whale researchers when I first came here in 1998,” he told me. But it was only crowded if you were studying the obvious suspects. Indeed, as Baird began to search for his niche, he made a discovery: in the preceding thirty years, nearly every research article about Hawai’i’s cetaceans focused on either humpbacks or spinner dolphins. At the time, this sort of concentration on one or two species wasn’t unusual in cetacean research. For example, most researchers in British Columbia, Canada, focused only on killer whales, while a few also studied gray whales. That left plenty of room for an observant and determined young scientist to build his own research project, Baird realized. And so he did. Of course, doing so wasn’t easy or straightforward. He was poor most of the time and stressed by the need to secure grants, get boats and crews, digest the data they collected, and write papers—often simultaneously. But over time, he made discoveries and published enough papers that other cetacean experts tipped their hats to his accomplishments. “I never would have thought you could do what Baird’s done—see these rare cetaceans regularly enough to gather the kind of data he has,” said Scott Baker, a conservation geneticist and cetacean specialist at the Oregon State University Marine Mammal Institute. Like many of the young marine biologists at the University of Hawai’i in the 1980s, Baker had researched humpback whales for his dissertation. “But Robin saw the potential in these offshore, more unpredictable species.” His work has “helped fill in some big gaps.” The two men met in the early 1980s at a conference and now collaborate on a number of projects to study and conserve cetaceans. Baird has never given his project an official title. He refers to it simply as “our Hawai’i research” or “Hawai’i cetaceans.” Officially, he’s a research biologist with Cascadia Research Collective in Olympia, Washington, a nonprofit research and education organization that he joined in 2003. Through the collective, he applies for grants and contracts primarily from US government agencies such as the National Marine Fisheries Service (NMFS), the Pacific Islands Fisheries Science Center (PIFSC), the Marine Mammal Commission (MMC), and the US Navy. One approximately $100,000 grant to study the islands’ populations of false killer whales—five to six foot long cousins of killer whales; they have a pale blaze between their pectoral fins and a light stripe down the belly but otherwise are almost solidly dark gray—came from NMFS’s Bycatch Reduction Engineering Program, an effort to lower the number of these whales caught accidentally by fishers. The funds covered the costs of the survey I joined, as well as the subsequent data analysis and report preparation, and contributed to Baird’s and his team members’ salaries. TEN MINUTES AFTER CORNFORTH first spotted the Risso’s dolphins, Baird managed to work his boat just behind them. About two dozen swam ahead of us, rising quickly and rhythmically to expel the air in their lungs before inhaling and diving back into the water. The air filled with the whoosh of their wet breaths. In the distance, they appeared silvery white, with dark, rounded heads and hooked dorsal fins. Closer up, we could see that they’re actually gray-black in hue, the front half of their bodies crisscrossed with intricate white scars resembling scribbled gang graffiti. Newborn Risso’s have black backs and sides, Baird explained, but the animals become lighter as they age and accumulate scars from playing and fighting—and from being attacked by both their prey (squid) and their predators (sharks). “This is only our eleventh encounter in eighteen years with this species,” Baird said, “and we’ve only put a satellite tag on one, so we don’t know a lot about their behaviors.” He stood behind the steering wheel, slowly and steadily scanning the waters, keeping an eye on the Risso’s while checking the horizon for other dolphins or whales. “Risso’s avoid boats here in Hawai’i, although not in Southern California,” he continued. “Here they’re part of an open ocean population and not accustomed to motors, so we’re just going to hang with them.” He cut the boat’s motor, and the dolphins slowed their pace. A dozen lined up close together in what Baird called a raft formation, with their pectoral fins touching—a dolphin’s version of holding hands—and rode the waves next to the Zodiac. This is a form of “slow travel,” Baird said, which allows the dolphins to rest. They’d likely been awake most of the night, hunting squid. This group was apparently untroubled by our presence, and while some stayed together in their quiet raft, others began leaping over the waves and chasing one another. It looked like fun, and Baird said it probably was. “That’s social behavior,” he explained. “They’re playing, and maybe courting.” He called to Cornforth and a deeply tanned young woman standing next to him on a platform above the prow. Both had cameras pressed to their faces. “Let’s be sure we get ID photos of them all!” Baird was just starting to build an ID catalog of this species. “We’re getting them,” said the woman, Kimberly Wood, a marine mammal photographer and research associate on Baird’s project. She and Cornforth use Canon cameras with 400-millimeter lenses to collect images of the dolphins’ fins and scarred backs as the animals come to the surface. Each dolphin had its own unique scarring pattern, which the scientists would later use to identify individuals—hoping to match the day’s photos with others they’d shot previously. Over time the scientists would be able to see which dolphins like spending time together—simple clues that could provide deeper insights into their social organization and family ties. “Birds at one o’clock!” called out Cornforth, the crew’s top spotter. Baird turned his binoculars on the birds skimming the water. “Shearwaters,” he said, identifying the species for Brittany Guenther, at twenty-six, the youngest member of the team, and a volunteer. Guenther had earned a bachelor of science in marine biology at the College of Charleston and loves the sea, but she disliked school; the South Carolina native is now working on becoming a boat captain in Maui, the second largest Hawaiian island. Her main job on Baird’s crew—aside from watching for whales and dolphins—was keeping a data sheet of the mammals, fish, and birds we saw and their behaviors. Guenther, who readily pitched in on all tasks and was eager to learn, had clearly worked out. Baird works on projects off all the main Hawaiian Islands and makes a point of contacting whale-watching companies, fishermen, captains, and interested citizen-scientists to let them know what he is doing and why. He asks them to report any cetacean sightings and send him photos of the animals they encounter; if he uses their images in his publications, he gives them credit. His outreach has paid off with an abundance of sightings and photos he would have missed otherwise. Regular contributors are often invited to join as a volunteer for a day. Indeed, nearly every day on the two-week survey I joined, Baird included one amateur whale-watcher: marine biologists, teachers, or hopeful photographers. If they prove to be good workers, like Guenther, they are often invited back as volunteers on a longer survey. Baird’s last permanent team member, Daniel Webster, stayed near the prow, holding an air rifle and watching for an adult dolphin to surface alongside the Zodiac. If that happened, he would fire a titanium dart with a satellite tag at the dolphin’s dorsal fin. The tags, which don’t harm the animals, can remain attached for weeks or even months, collecting data on the dolphin’s movements and diving behaviors. (The scientists obtain the data via orbiting weather satellites.) Webster first successfully attached a tag to a Risso’s dolphin in 2015. According to Baird, “That dolphin kept to the deep waters to the west of Kona and the island of Lana’i. Based on his movements, and our other encounters, we think that Risso’s aren’t resident dolphins here in Hawai’i”—a finding that will help determine how federal agencies manage the species. Resident species, as opposed to animals passing through, are more likely to be affected by local activities, such as near-shore fisheries and US Navy sonar training activities. We traveled with the Risso’s for about an hour. Webster never did get his shot, and when the raft of dolphins split apart and the animals picked up speed, Baird turned his boat away, thinking it best to let them travel on their own. “Reason for leaving?” Guenther asked. Guenther marked her data sheet while Baird leaned back on his captain’s seat and slowly scanned the seas, on the hunt again for dolphins and whales. Four times every year, for two weeks at a time, Baird and his crew travel around the Hawaiian islands, watching for fins and splashes. They observe and photograph the species they encounter, and, when they can, attach satellite tags to some animals, and collect a small amount of tissue for later genetic analysis and other research. When he’s not on the water, Baird’s reviewing the photographs and data his team has collected, tracking the tagged cetaceans (he can view them on his office computer in Washington State), and writing up research papers; he’s authored or coauthored hundreds of these, as well as conference presentations, The Lives of Hawai’i’s Dolphins and Whales, and another popular and acclaimed book, Killer Whales of the World: Natural History and Conservation. Baird is modest about his accomplishments and always generously gives credit to his team and research colleagues. But he also, somewhat shyly, marvels at how his childhood love of animals led him to become what he so clearly is: the world’s leading expert on the dolphins and whales of Hawai’i. 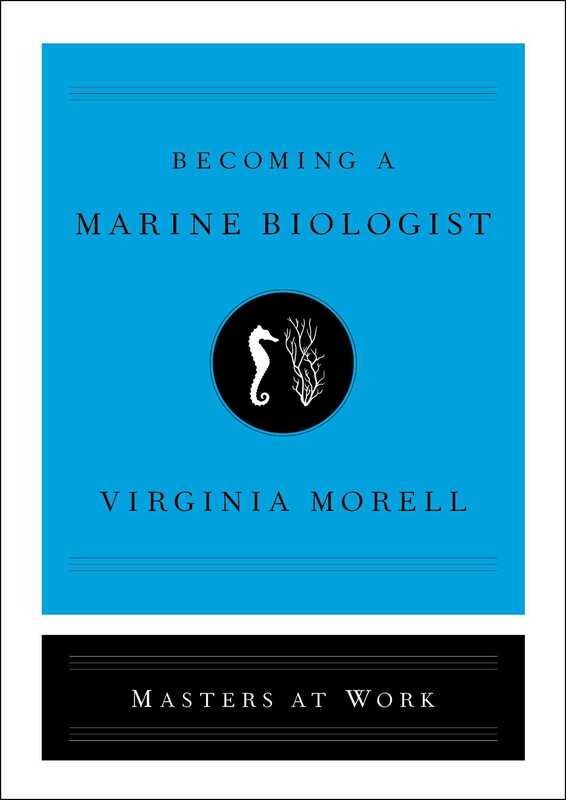 Virginia Morell is a regular contributor to National Geographic magazine and a contributing correspondent to Science. She has also written for Smithsonian, Discover, The New York Times Magazine, International Wildlife, Audubon, Slate, and Outside, among other publications. 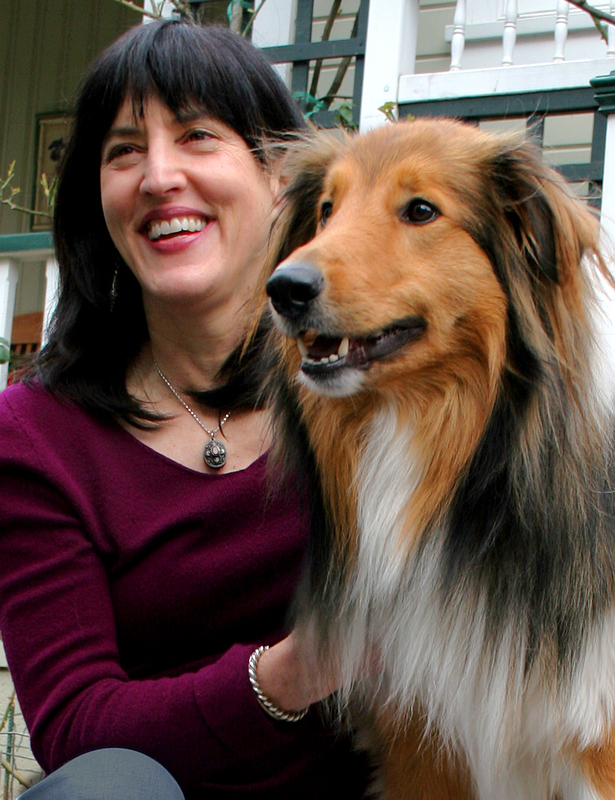 She and her husband, writer Michael McRae, live in southern Oregon, on the edge of the Siskiyou Mountains, where they hike every day with their Scotch Collies, Buckaroo and Annie Oakley.